Liverpool must stay calm, learn from mistakes and be positive throughout on Saturday against Hull City – the players and the fans alike! Jurgen Klopp today issued the supporters our instructions for the Anfield clash, with challenges aimed at the boss that the team sometimes fails to play in smaller matches as well as it does in bigger ones. This term we’ve beaten Arsenal, Chelsea and Leicester, but lost away to Burnley at Turf Moor. At Anfield, Klopp thinks it’s the job of the fans to react well to missed chances rather than with disappointment. “You can hear it in the stadium, in a big game you miss a chance it’s exciting, in another game it’s frustrating,” he told today’s pre-match presser, cited in the Echo. “We all have to learn. Everybody has a role in this game. I know we will be ready. “We didn’t score six or seven goals against Derby, but we scored three and didn’t give them many opportunities. It’s the same. You stay in the race. Verses Burnley, we had all the ball, but despite multiple shots – never looked like scoring. Obviously all teams have these days, but if our first 30 minutes goes badly, it’s important for the supporters not to panic but to push the side on, believing we’ll break the deadlock or get back into the game if we fall behind. 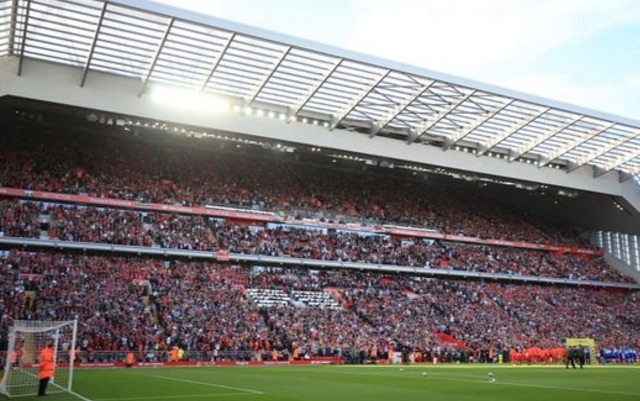 We’ll be playing in front of 54,000 fans again, for only the second time since the New Main Stand opened. Hopefully this will spur us on and help maintain our 100% home record.